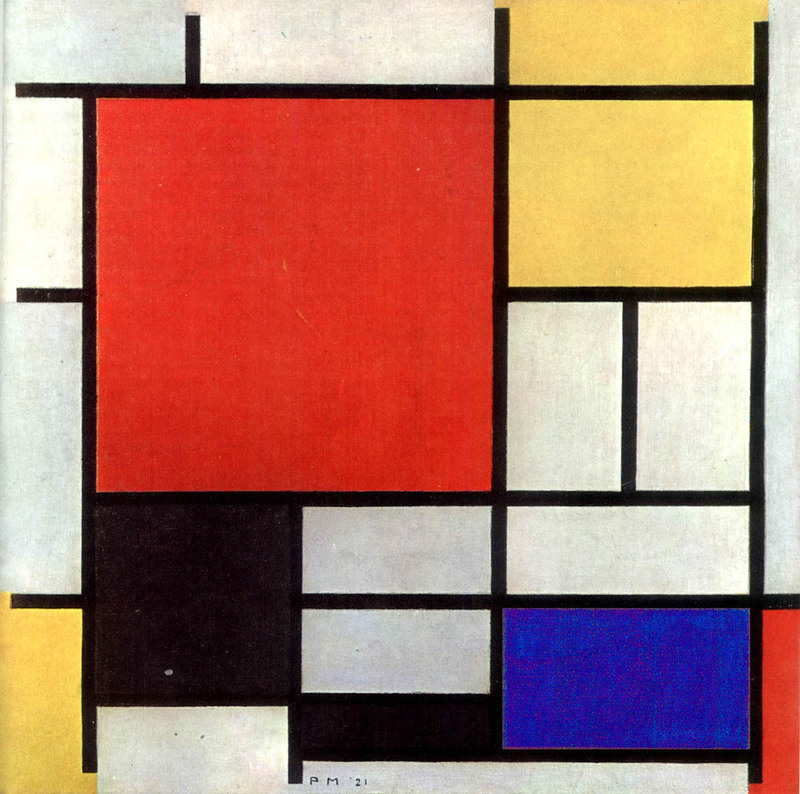 I can’t say I’m a big fan of Piet Mondrian‘s geometrical and abstract art. A proponent of the “De Stijl” movement (which means “The Style” in Dutch), he only used primary colours and non-colours, squares and rectangles, straight and horizontal or vertical lines in his work, which to me personally, isn’t very engaging or inspiring. A bit too rigid, confined and rational for my liking, I would say. 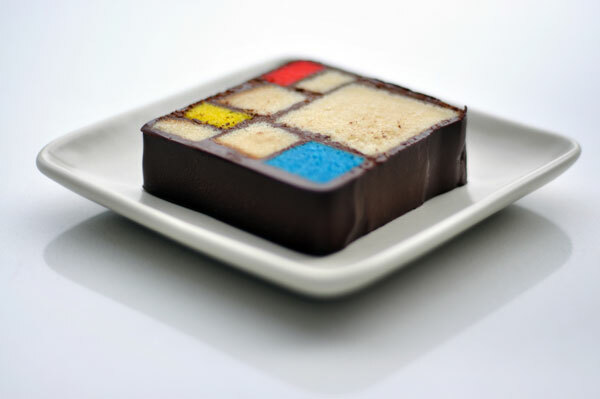 However, when I stumbled upon a photo of a Mondrian cake made by Caitlin Freeman, the pastry chef at the cafe of the San Francisco Museum of Modern Art, the reduction to the essentials of form and colour didn’t seem to matter any more. Art-inspired food is genius! Given my baking history though (which is practically non-existent), perhaps I should start with something easier until I get better acquainted with my new Kitchen Aid mixer! 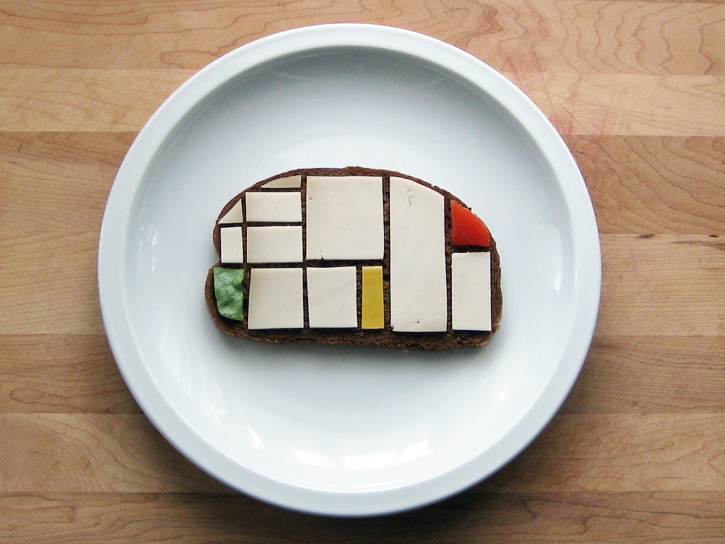 Something like the Mondrian sandwich, which I also found after a bit of research into edible art. And yes, the sandwich in the photo contains some green, which Mondrian would never ever use, but you could replace that part with blue cheese, if you must stick to the rules. Although a bit of artistic freedom and thinking outside of ‘the box’ wouldn’t hurt, don’t you think?